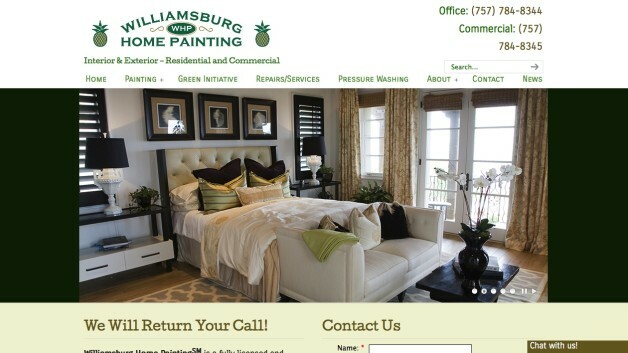 Williamsburg Home Painting had a very old, static HTML website they had outgrown and was difficult to manage. They wanted a modern website with a CMS (Content Management System) so they could manage the site themselves, plus a live chat. We designed and developed a responsive, mobile friendly WordPress website for them, integrated a live chat feature, and taught them how to add new content and make changes to the new website.